The fair arrives in Wednesfield Park. The re-built Oak Meadow Primary School in Ashmore Park opened in November 2011. Wednesfield's new community library opened in September 2010. 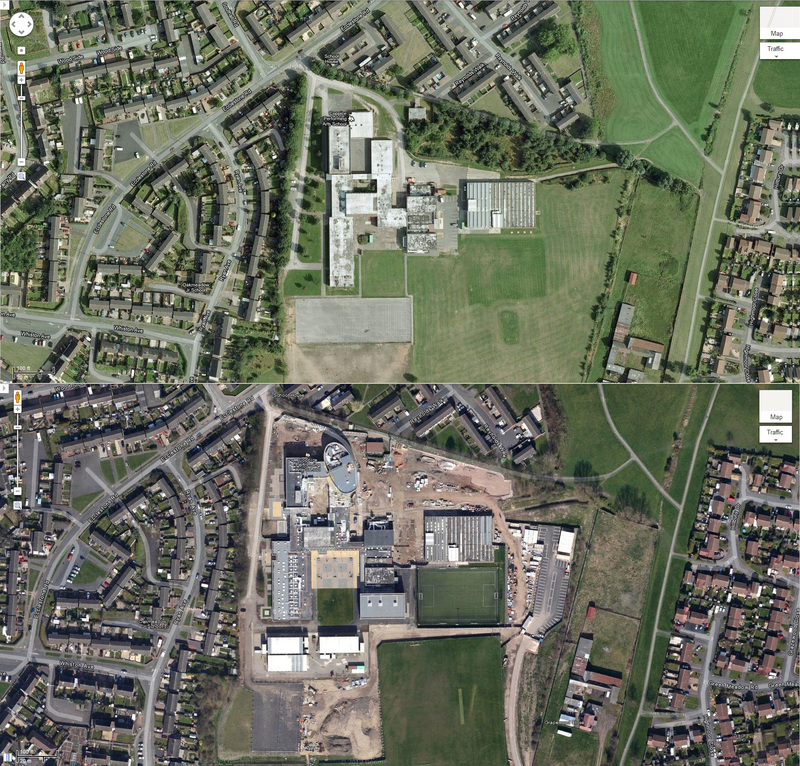 Google has recently updated it’s satellite imagery of Wolverhampton, including Wednesfield. 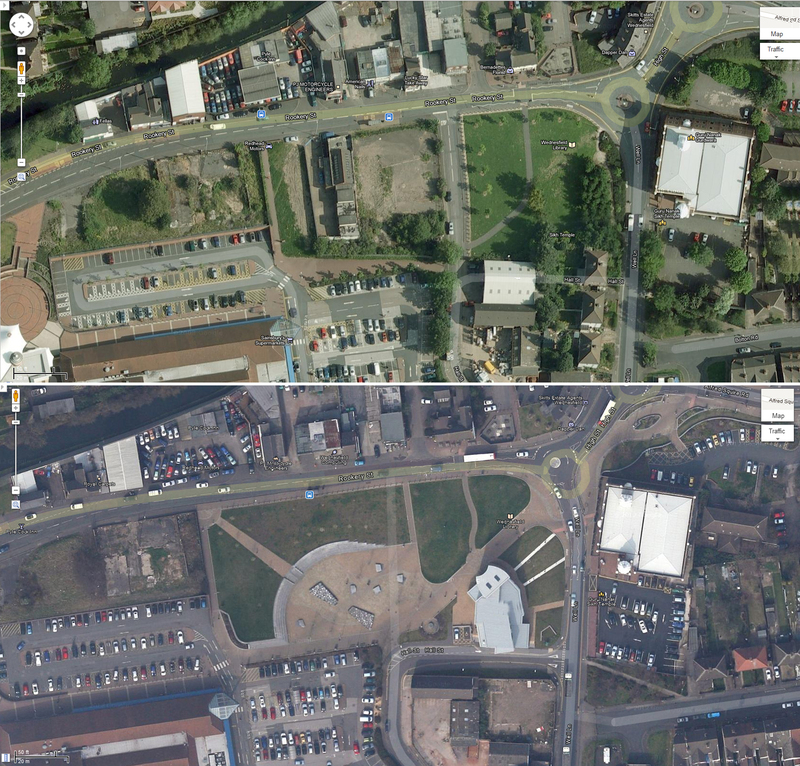 The updated images of Wednesfield were taken in March 2012 – as you can see from the image above the fair was taking place on Wednesfield Park when Google’s photo satellite passed by. 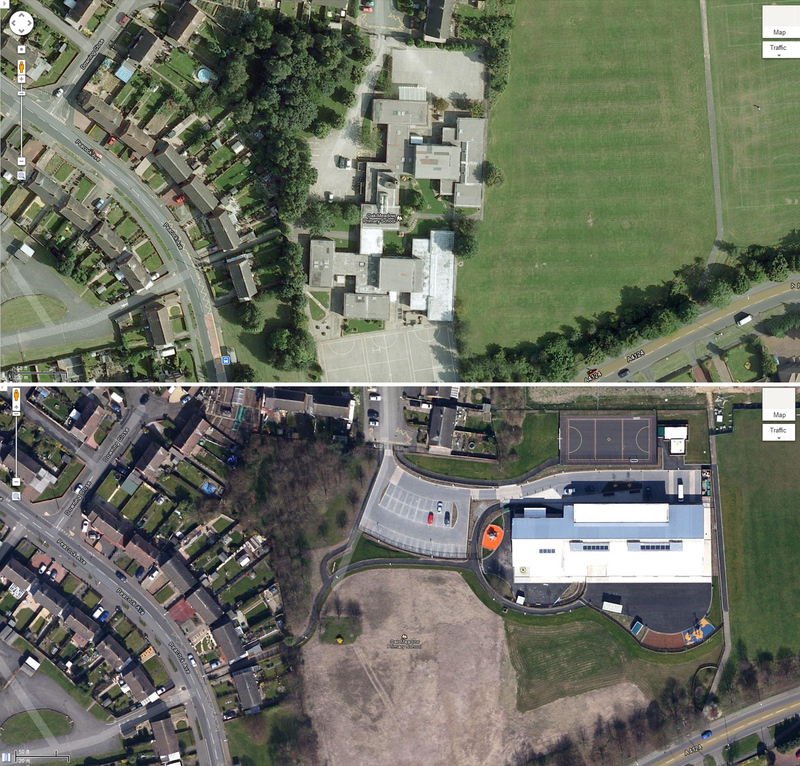 Check out some “before and after” images we’ve created below using old satellite imagery (click on the images for larger versions) and visit our Facebook page for a few more photos. All imagery copyright Google Maps. Trap Makers Bridge, Wednesfield opened 1st June, 2010 creating easy access to the park. Wednesfield’s new community library on Well Lane opened in September 2010. Coppice Performing Arts School in the midst of the BSF rebuild.